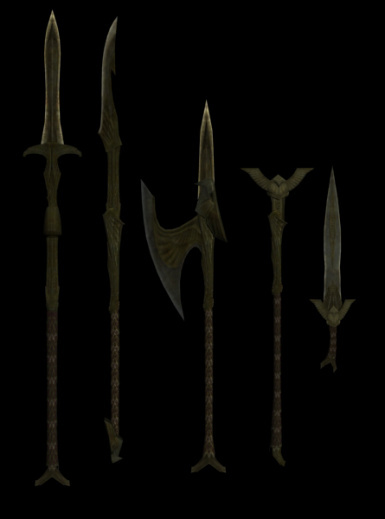 The goal of Heavy Armory is to expand the variety of weapons used in the world of Skyrim in an immersive and lore-friendly way. 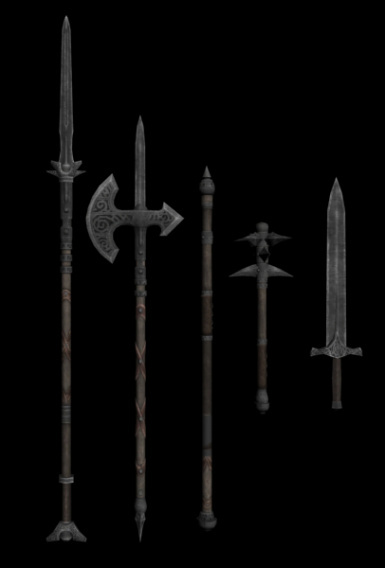 Heavy Armory adds over a 100 new lore-friendly weapons and introduces new weapon types like spears, halberds and shortswords and expands some of the more limited sets like the Silver, Imperial, Forsworn and Draugr weapons. 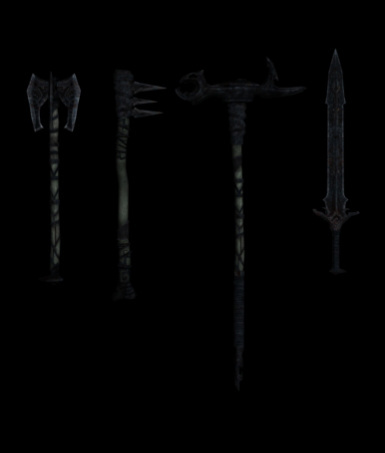 If you’re looking for some new weapons to wield (or to get your face bashed in with! ), and value immersion like I do then look no further! 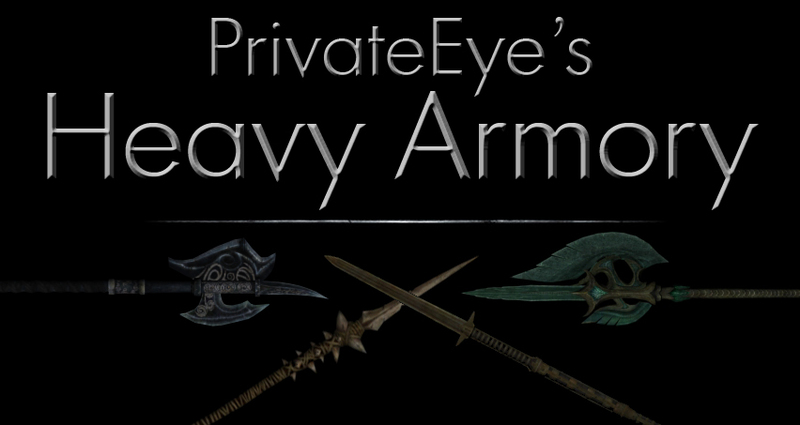 Heavy Armory is the mod for you! 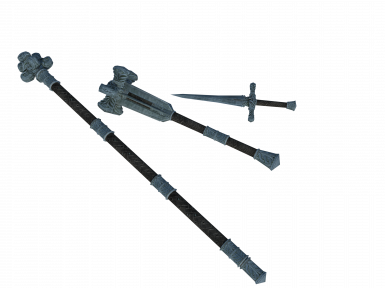 My aim was to make new weapons that blend in seamlessly with the weapons Bethesda created. 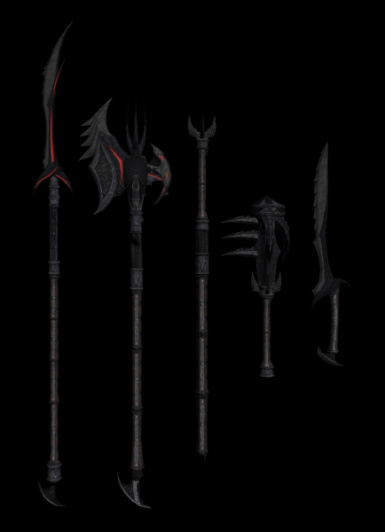 Where do we find these new weapons? The new weapons are spread throughout level lists so you will encounter them naturally on enemies, in shops and in loot. You can of course also craft them from any forge (if you have the necessary skill and resources). 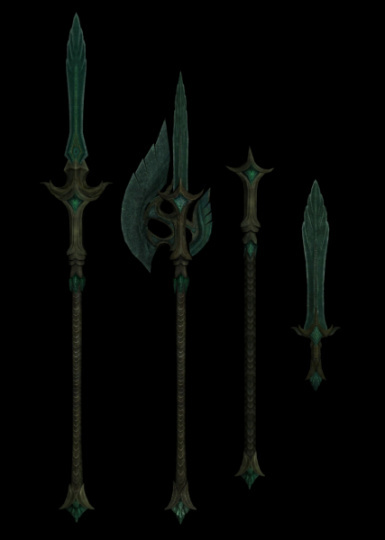 The barbarian’s weapon! Best described as a weaker version of the mace. Uses mace animations and specific perks. 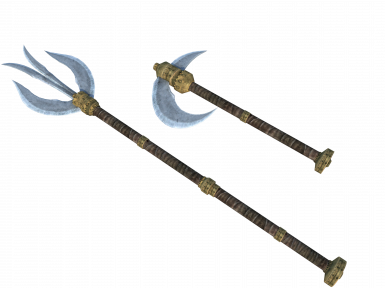 Functions as a longer version of the battle axe. 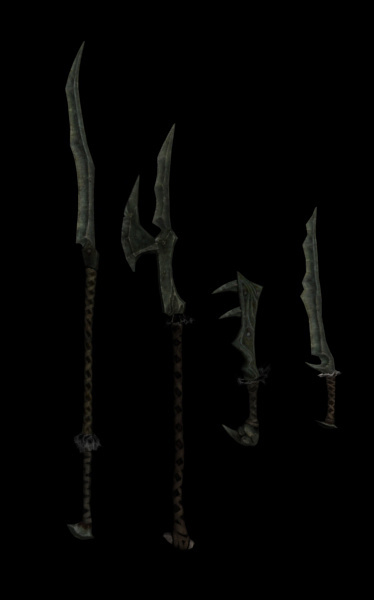 The halberd swings slightly faster while also dealing less damage. 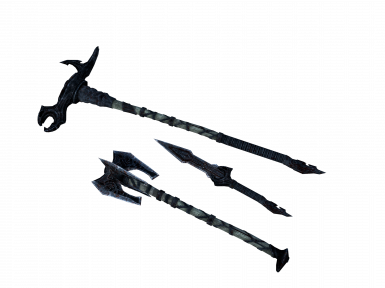 Uses battle axe animations and specific perks. 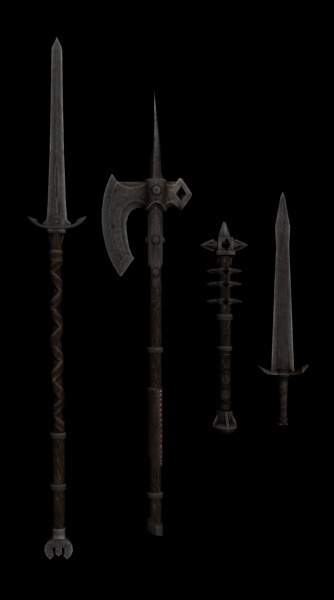 Hatchets are smaller variations of the normal war axe. 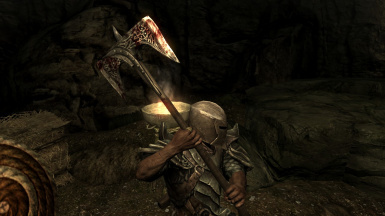 This means that the hatchet has less reach and damage but can be wielded blindingly fast. Uses war axe animations and specific perks. 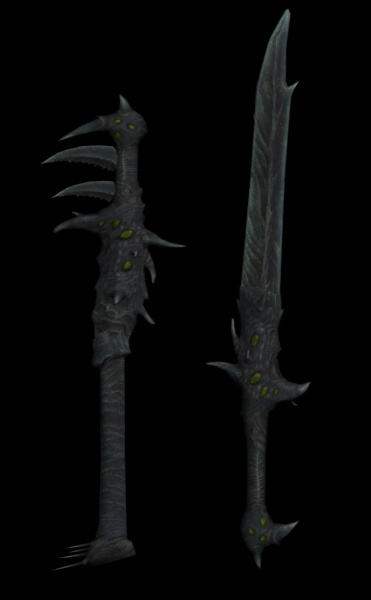 For those warriors who like to swing with two handed blunt weapons but think the warhammer is a bit too heavy. 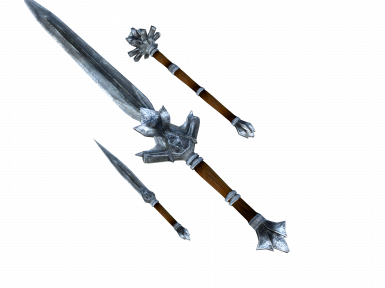 This weapon bridges the gap between the warhammer and battle axe. Uses warhammer animations and specific perks. Want the destructive power of a two-hander without forgoing the extra defense of a shield? The maul is the most damaging one handed weapon, but also the slowest. 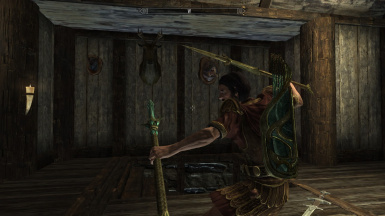 The fastest two handed weapon in the game. 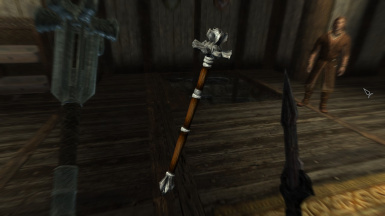 Quarter Staves may seem weak for two handed weapons, but they allow the player to attack and block much faster. 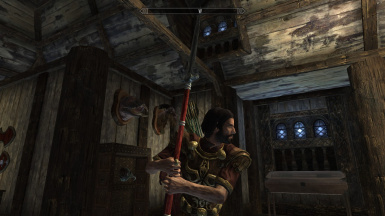 The shortspear is a one handed version of the spear. 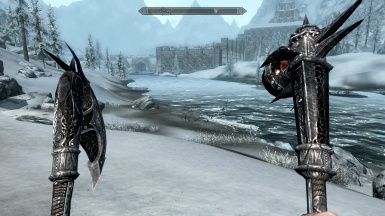 Having the longest reach of any one handed weapon, it’s useful for people who like to keep a distance to the enemy. Uses sword animations and specific perks. 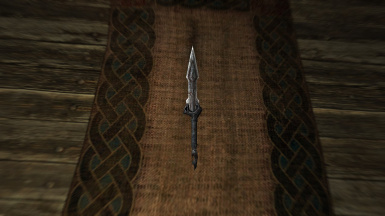 Perfect for those players looking for a compromise between the speed of the dagger and the power of the sword. 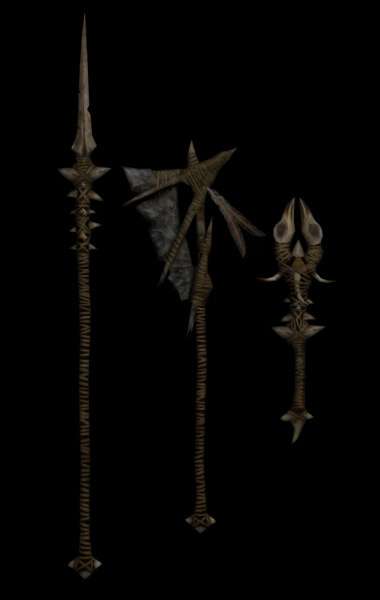 The spear has the highest range of any weapon in the game. 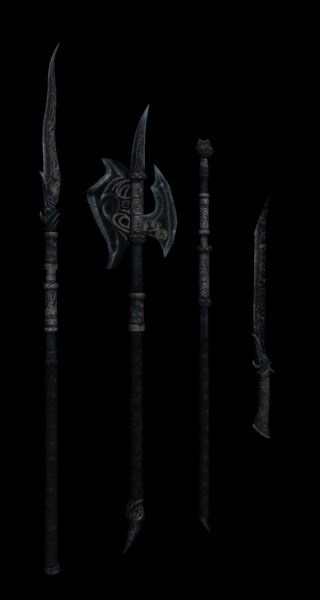 The glaive is similar to the spear but does slightly more damage. 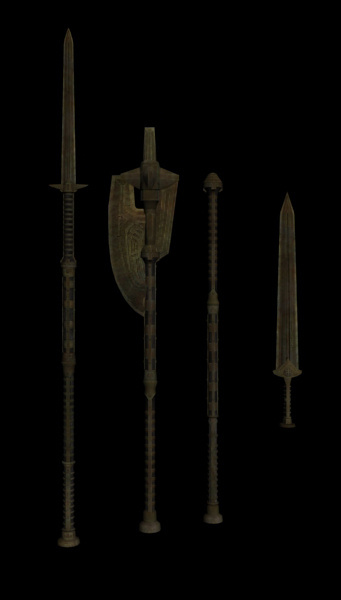 Uses greatsword animations and specific perks. 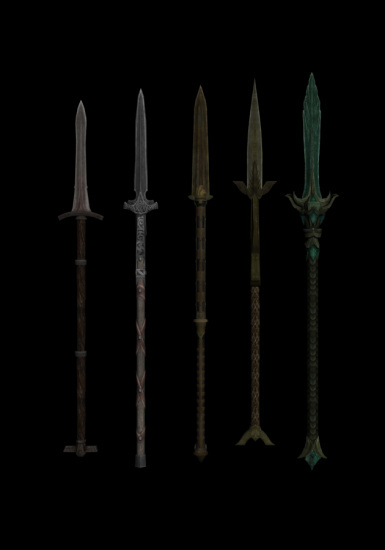 Tridents can dish out quite a bit of damage but their range is shorter than that of the common spear. 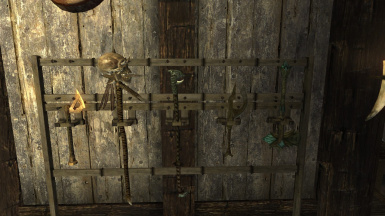 artifact collectors and people wanting to add some immersion to their Skyrim experience. Made in the same way and with the same goal as Heavy armory. 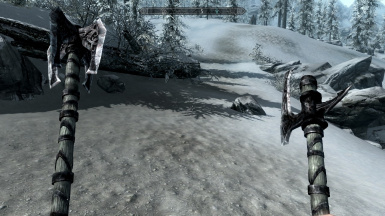 RA adds special weapons to all the most important characters in Skyrim. 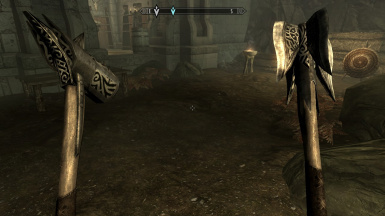 Good for the artifact collectors and people wanting to add some immersion to their Skyrim experience. -Do Texture replacers work with HA? -Does (Mod X) conflict with Heavy Armory? 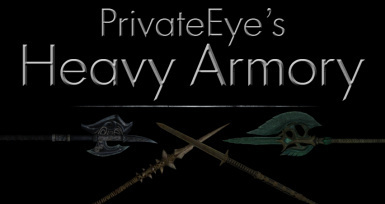 Heavy Armory may conflict with other mods that add weapons to the game through leveled lists. 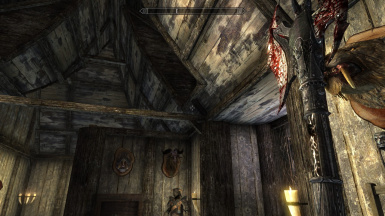 This isn’t a game breaking problem but it’s always a good idea to create a bashed patch using Wryebash. 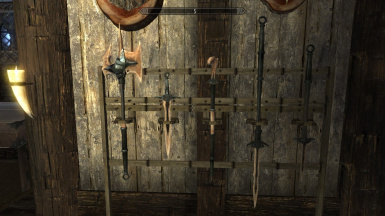 Heavy Armory adds a few weapons to the Sleeping Giant Inn in Riverwood and Skyhaven Temple so this might conflict with mods that change these areas too. 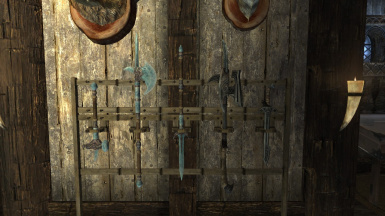 This is not likely to cause a lot of problems but it’s best to load those mods after Heavy Armory. 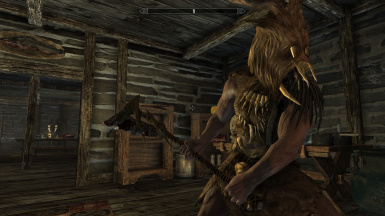 -I don't see any of the new weapons and they don't show up in the crafting menu! Did you actually activate the .esp? Or maybe you simply don’t meet the smithing requirements yet. -Can I translate Heavy Armory to another language? Special thanks to Kelinalo and Kryptopyr for creating the CCO compatible version of Heavy Armory on which I based the final version of the mod. 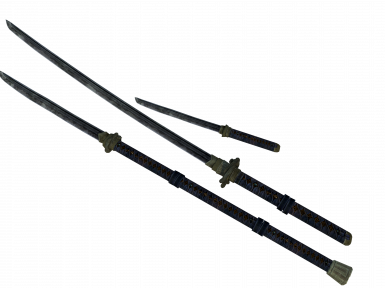 Also thanks to billyro for fixing some issues with the weapon meshes! 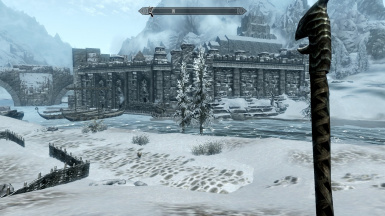 Finally a huge thank you to Katcher12 for helping with converting this mod to the Special Edition!